I decided to roll the build again. 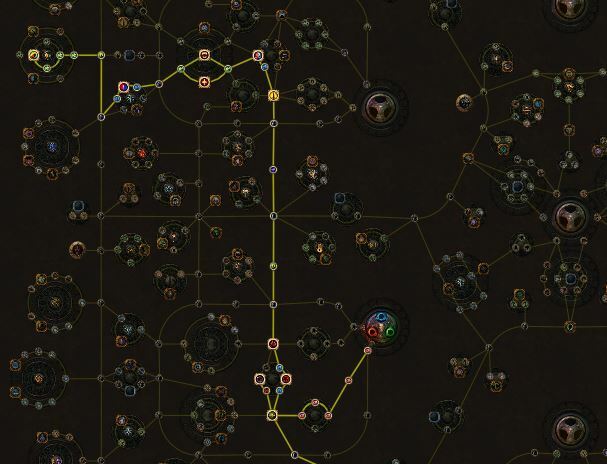 I finished kitava in 5 hours and 20 minutes using my suggested uniques and leveling tree. 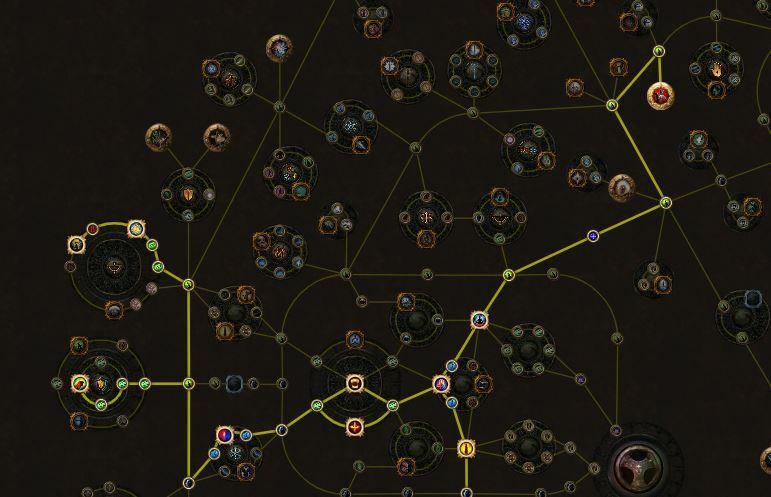 Uber Elder: 18-03-19. 1 Death - On a 5link with 8 K ES and 1 day played on the character. In synthesis incredible synthesized mods are available including permanent onslaught on boots, aura reduction on shields and who knows what they will bring. I will add a synthesis gearing section later. Furthermore the introduction of delve fossils have made it much easier crafting usefull energy shield gear. This section is based upon leaguestart at 3.6. I assume you have no access to uniques whatsoever. - You can use all weapons for damage, so focus on getting the highest physical weapon you can and we will convert this into elemental damage. 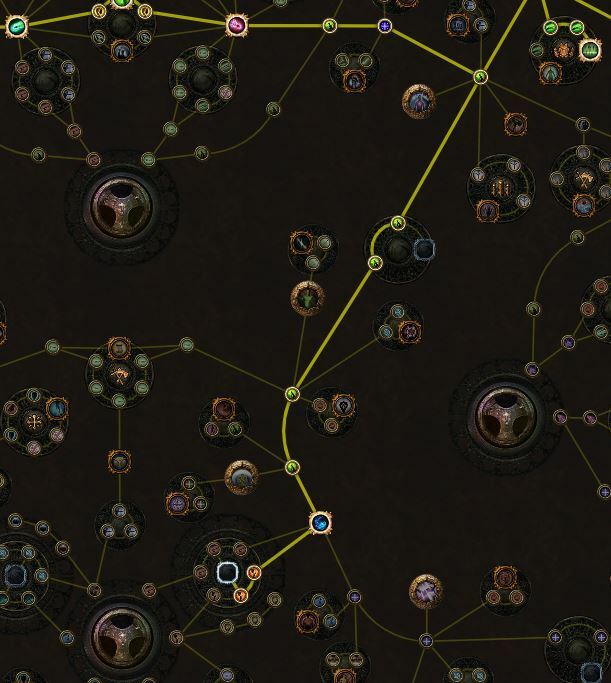 Please pick life nodes or resistance nodes you if you are lacking behind. Molten strike will be provided after entering town as a quest reward. Onslaught support - use this in the link. 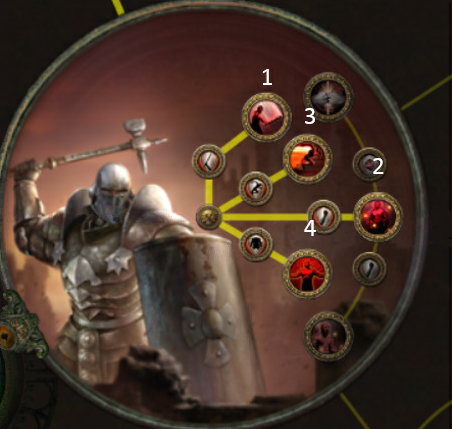 Added Fire Damage Support Use this instead of Ancestral Call. Put your ancestral call in your spare weapon set and level it. Faster Attacks - Link this with leap slam if able. You should be set to level now. Consider using Purity Of Elements if you're in deep trouble concerning resistances. 7(Very expensive stuff). 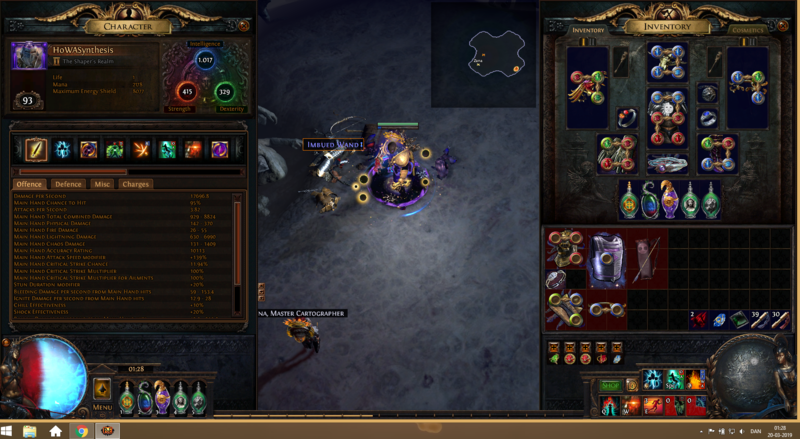 6-link, Dying Sun, Helmet Enchant, Watcher's eye + Try to craft Helmet and Shield. The other changes even themselves out. Had to change the passive tree a bit due to some changes in the shadow area. Nerf: We need to use Flame dash due to synthesis side areas being difficult to move around in. 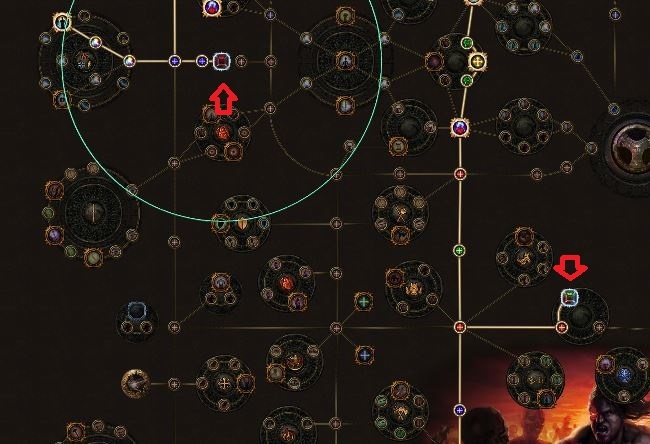 Soul of Arakaali with 50% increased recovery for energy shield. 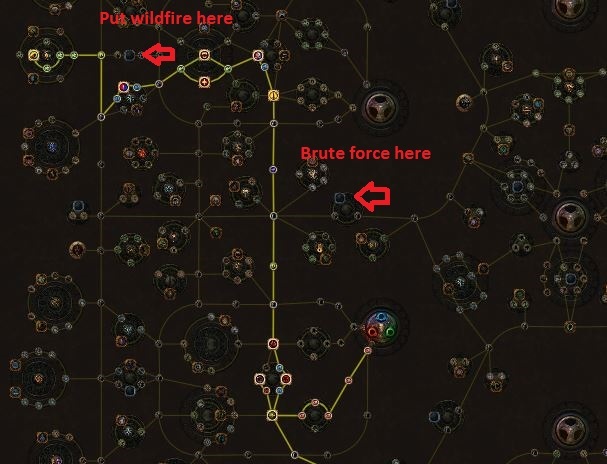 Blood rage combined with CWDT+IC makes the recovery rate proc often. Ralakesh: Cannot be blinded and increased chance to avoid bleeding + less DoT with bleeds. I personally prefer Incandescent Heart over a 750ES Vaal Regalia. If you pick VR you take 20% more elemental damage than you would normally and lose a lot of physical reduction from the extra added armour. Provides Shock immunity and burn immunity. - Getting extra strength, energy shield, Elemental damage with attacks and added lightning damage is also very strong, and you should try to get this. Go for Increased Duration or less charges used (boss fights) + Immunity to Curses (If you have corruption blood immunity on gem and Cyclopean Coil). I think Sulphur Flask is much more powerful than Silver Flask due to many more uses in bossfights. In general, abyss jewels can provide a higher amount of energy shield and solid damage. 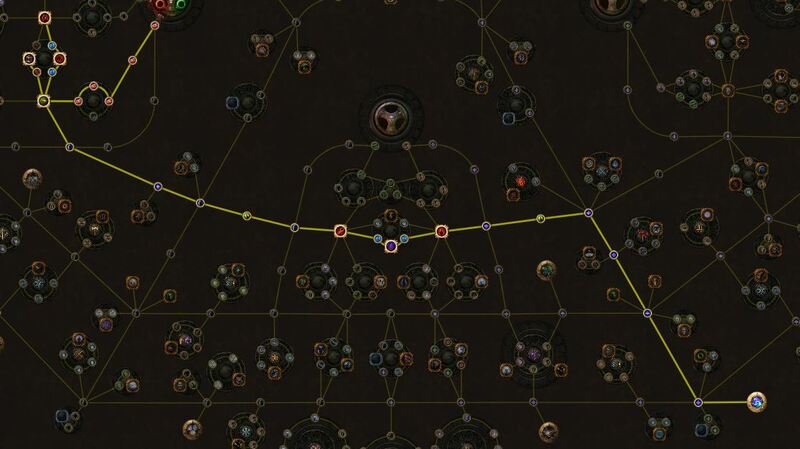 Search the following mods and set hits to be either 3 or 4 on pathofexile.com/trade and buy the cheapest. Increased Energy Shield %, Increased Lightning Damage, Attack Speed with claws, Attack speed with one handed melee weapons, Attack speed while using shield, Attack Speed, Attack and Cast Speed, Increased Projectile Damage, Increased Area Damage, Increased Damage. If you want more Energy Shield, need strength or resistances you can force these rolls by adding them in a search function. 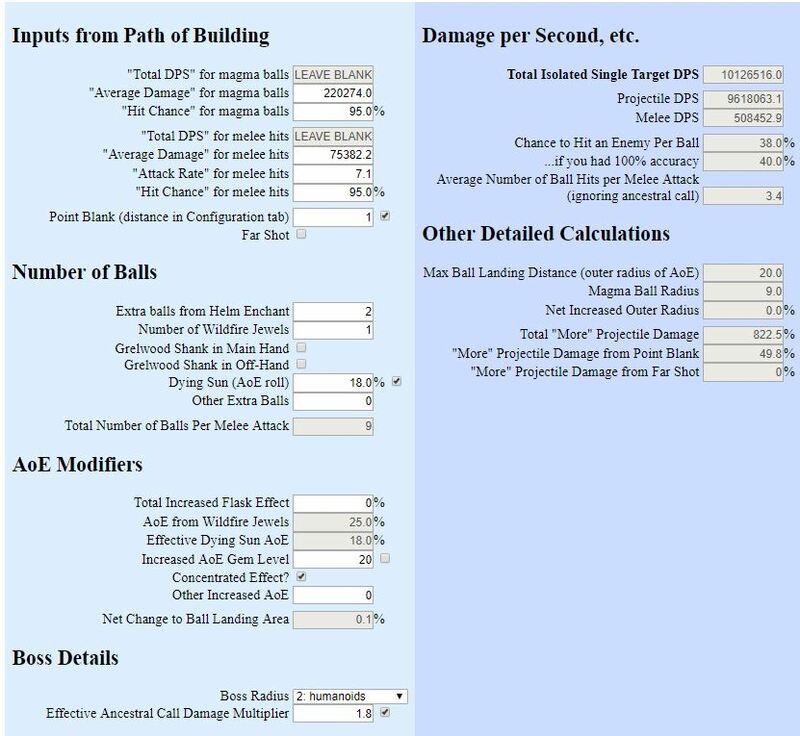 Since number of projectiles were nerfed in 3.5 (Subtracting 3 x 3 balls) Life gain on hit or ES on hit cannot be abused so much. •	Enlighten Support(3/0) - If you get level 4, you can save 4% reduction on passive tree at Influence near Chaos Innoculation. •	+2 Molten strike on helmet (This is by FAR the best enchant you can get) or get +1 molten strike. •	Some curses booster or aura reservation reducer. Suggested Method. Use Perfect Fossil to increase quality to 27-30%. I did not know that a build guide already existed. 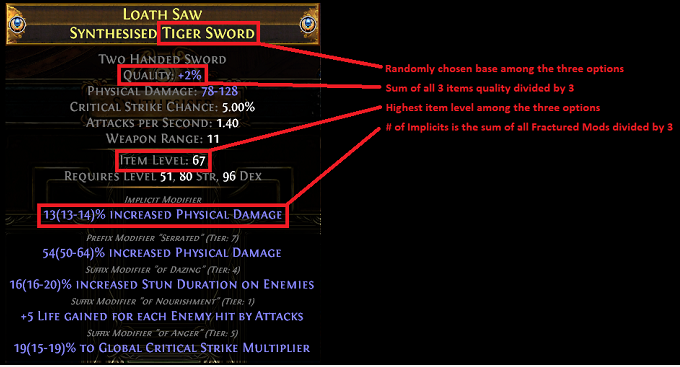 I theory crafted this myself in delve league due to getting a watchers eye with Es on hit and alot of dense jewels. Then I decided to try as a league starter this league :) I will post pob later and my items. 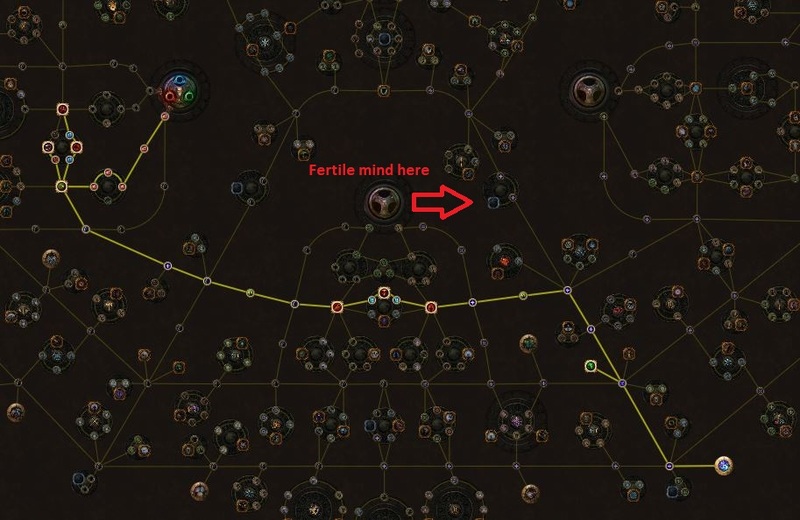 Edit: Just looked over the guides passive tree :) It is not the same in my opinion. The basics of the build is the same, but I think that it cannot be done in otherways if u want to make the max HoWA and CI. The more different guide i have on a build, the better. Gj. PS. Mention: if give target for huge boost attack speed from over-rating accuracy + gems (multistrike, etc.) - viable?